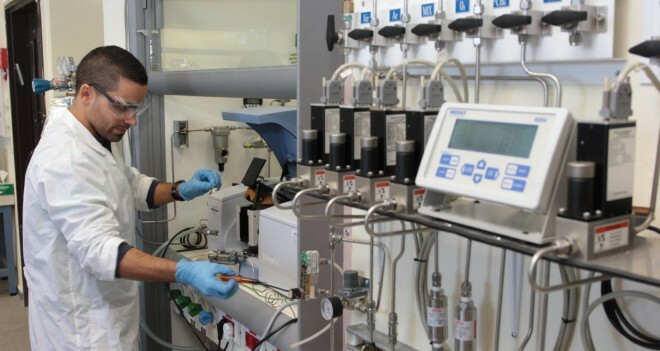 Our team is passionately working towards the development of new advanced heterogeneous catalysts and functional materials for energy and environmental applications. We try to look for new innovative design concepts by which our material exemplifies superior performance. This line of research is pursued by studying, understanding and manipulating reactivity at inorganic and organic surfaces. To make our new materials we use a combination of organic, inorganic and polymer chemistry techniques. These materials are then tested under reaction condition with a clear preference to running reactions under spectroscopic in-situ operando conditions. Our group is always looking for inspiration in natural systems (i.e. enzymes), from which we can adopt mechanisms and concepts and incorporate them into our materials design.